Will you read our book. It took us months to write, will you take a look. It’s based on sci-fi and fantasy novels we’ve read over the years, and we love being paperback writers. 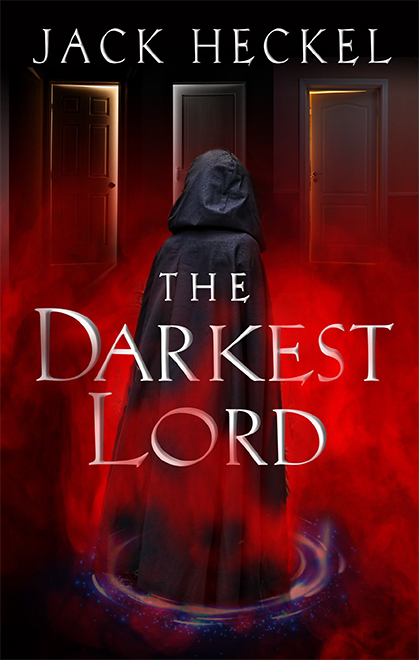 With apologies to the Fab Four, the big news today is that The Darkest Lord is officially out as a paperback! Yea! If you haven’t had a chance or have been waiting for a more tangible form of media before getting a copy, now is the time to check it out! You can purchase copies at any of your finest purveyors of the written word. To give you a little taste, here is a little bit of the book about the books. I am not sure what I was expecting. Part of me still had not gotten over the whole Order of Execution and was half braced for some further dreadful revelation. I can tell you that the last thing on my mind was my novel, but there it was in his hand. A copy of The Dark Lord by Jack Heckel. He held a quill in his other hand. “A what kind of plum?” asked Sam quizzically. “Books?” said Solon, perking up his pointed ears. “There’s a sequel? I must have it!” he exclaimed. “It isn’t available just yet. In Trelari, I mean,” I said, trying to figure out how to explain an e-reader to an elven lord.